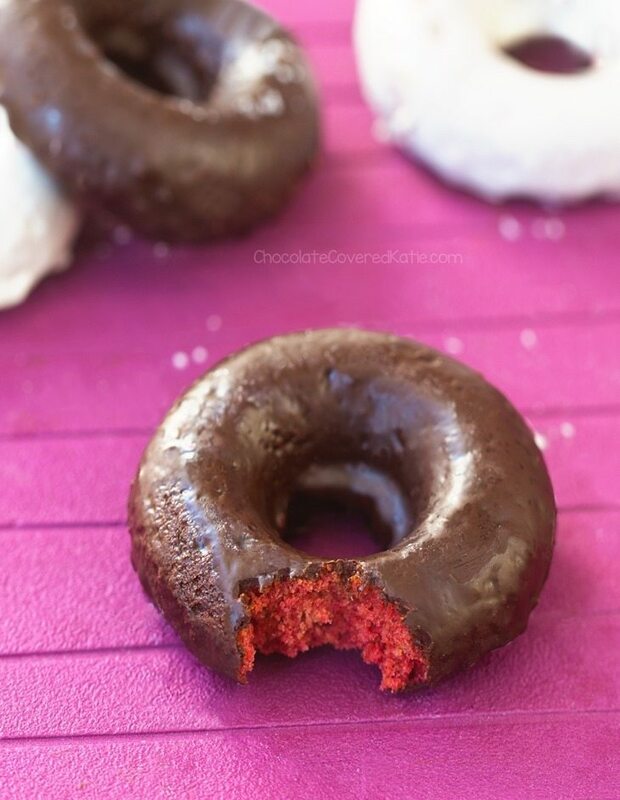 Home » Red Velvet Donuts–Refined Sugar Free! Soft, light, & decadently healthy red velvet donuts – with a secret ingredient and NO food coloring! Did you notice the theme with my most recent recipes? I’ve been having fun trying healthier alternatives to food coloring, first with my Magical Rainbow Unicorn Dip, and now with these vibrant red velvet donuts. They are baked instead of fried, are free of refined sugars and food dye, and they are also safe for vegans. 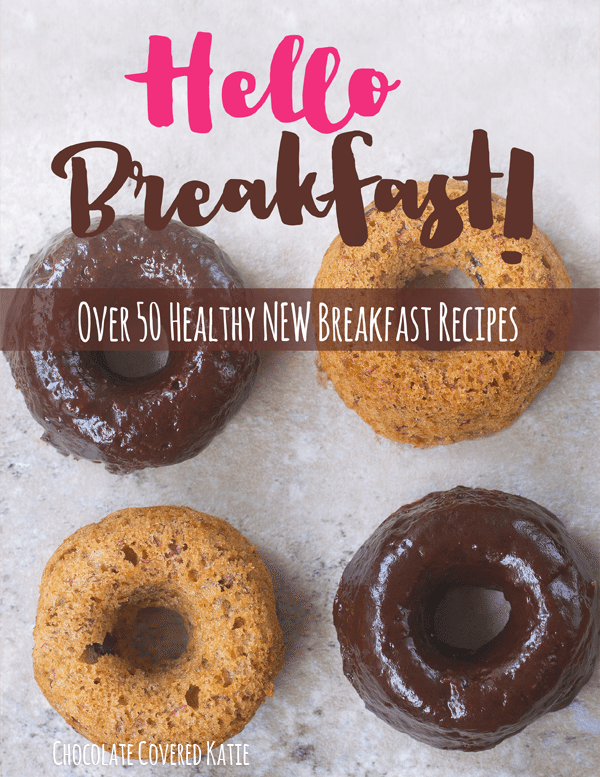 The homemade donuts come together with just a few minutes of work and are healthy enough to eat for breakfast. ♥ You won’t miss the food coloring and refined sugar! When I think of red velvet, I immediately think of Sprinkles’ red velvet cupcakes, complete with a thick layer of cream cheese frosting. But these donuts are so much better than that… mostly because donuts are so much better than cupcakes. You can eat them plain, or with chocolate glaze, or topped with melted coconut butter or my Healthy Cream Cheese Frosting. 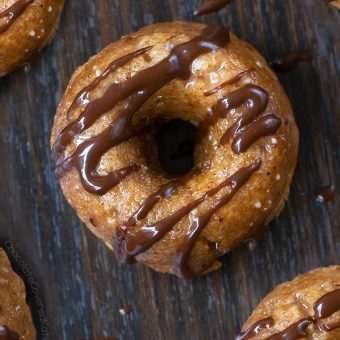 If you want to do the chocolate glaze, either dip the finished donuts in melted chocolate (mixed with a little oil if desired for a smoother sauce) OR mix together 2 tbsp pure maple syrup, 2 tbsp melted coconut oil, and scant 3 tbsp cocoa powder and gently heat until it becomes a thin sauce. 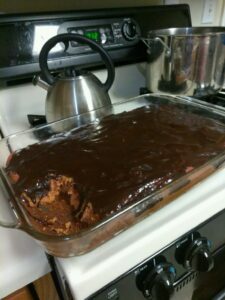 Refrigerate to “set” the chocolate glaze. If you use the coconut-oil version, it’s best to store the donuts in the fridge because coconut oil melts at room temperature. P.S. 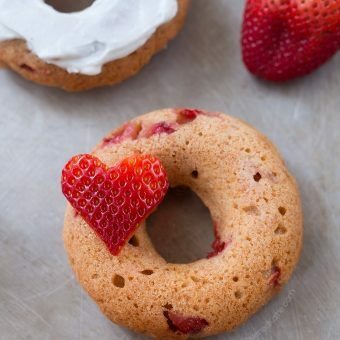 These healthy red velvet donuts would be perfect for Valentine’s Day breakfast! Combine first 6 ingredients, and set aside. 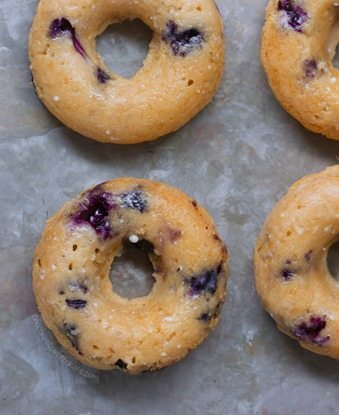 Grease a donut pan OR mini muffin pan, and preheat oven to 350 F. Stir together remaining ingredients, then pour wet into dry once oven is preheated, and stir until just evenly mixed. Don’t overmix. 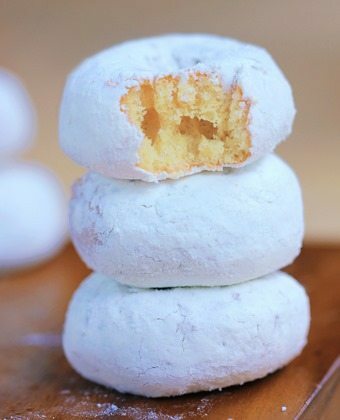 Bake 10-12 minutes (depending on flour used), or until donuts have risen and batter is no longer wet. Let sit 5 minutes before removing from the pan. 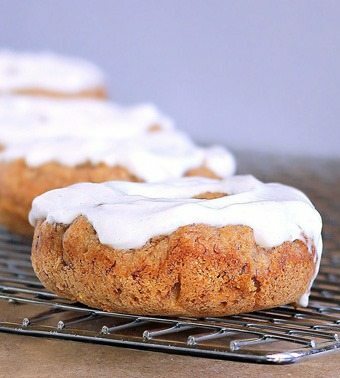 Frost with a basic glaze (a chocolate glaze recipe is listed earlier in this post) or even straight-up coconut butter, which is my favorite! 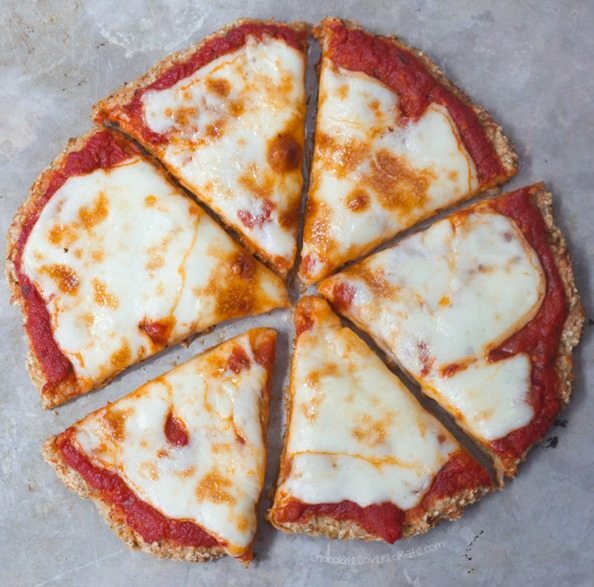 These looks great, so easy to make (I’d probably do the sub for the beet juice, since I have all ingredients by that one on hand). One question, though – I thought red velvet batter by definition had some cocoa powder in it, but I don’t see it in your list of ingredients. Just confirming before I dive into this recipe on my snowbound day. I initially thought about using cocoa powder but decided against it in order to keep the red as vibrant as possible. But you can definitely add cocoa powder if you wish! When I want to turn a non-chocolate cake or muffin or donut recipe into a chocolate one, I often will start by simply subbing some of the flour out for cocoa powder, so that might be a good place to start experimenting. 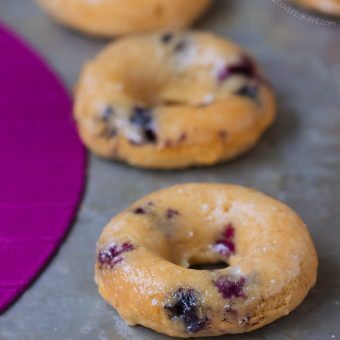 Or you can just make them as-is and add mini chocolate chips to the batter or use the chocolate glaze recipe from the post to include some chocolate. By definition, red velvet is a chocolate cake. Therefore, I would not say this recipe is red velvet. More like plain donuts with red coloring, Which is great, just a little misleading. Misleading? Lol it’s a donut recipe. Plus it is Katie’s blog and recipe so she can call it whatever she wants. My goodness internet commenters get offended by the silliest things. I will probably do that change, maybe sub 2-3 T. of the flour with cocoa powder. Thanks! I ended up using 2 T. cocoa powder (and I used 1/4 c. almond milk with food coloring, because I didn’t have beet juice), and even with a LOT of red food coloring, they ended up too brown, ultimately coming out kind of purplish. Next time, I will use 1 T. cocoa powder and see how that works. They are cooling right now, so I haven’t had a chance to taste them yet. Could I replace the beet juice with like pomegranate juice? Or would that mess with the end product? Also, I don’t have a donut pan, could I use a muffin tin instead? I have never tried so don’t know how the color will be. Taste and texture will–I’m sure–be fine. Isn’t pomegranate juice much sweeter than beet juice though? These look great Katie. Do you make beet juice from beets or use the kind that comes already as juice in a bottle? I’m sure fresh will work if you know how to make it. I used the kind that already comes as juice. Would coconut or almond flour work? Should I add more liquid to keep the batter from being too dense? I have never tried so really can’t say. But be sure to report back if you experiment! A crazy thought entered my mind after reading this recipe (which looks delicious, and I can’t wait to try it): take the new unicorn cheesecake dip recipe and frost these donuts with it! Would it be wrong to combine so much deliciousness and bright, happy, delightful colors in one recipe? It almost sounds too good to be legal. And then, I thought about taking blueberry juice and making blue velvet donuts with the same frosting. Or a little spinach for green! So much color! You could experiment with a whole rainbow of incredible donuts! Katie, you’ve made my whole morning so happy, once again. Hi, what’s the recipe for the frosting? This looks sooo good! To bad my boyfriend isn’t a Red Velvet fan =( I’ll have to make them for myself haha! You’ve motivated me to buy a Donut Pan! Do you know if this would work with substituting beet powder for the juice? I only have the powder. I’m assuming I would up the liquid. Thanks! I made these today in a mini muffin tray since I don’t have a doughnut pan. They turned out really well, delicious and light and fluffy. 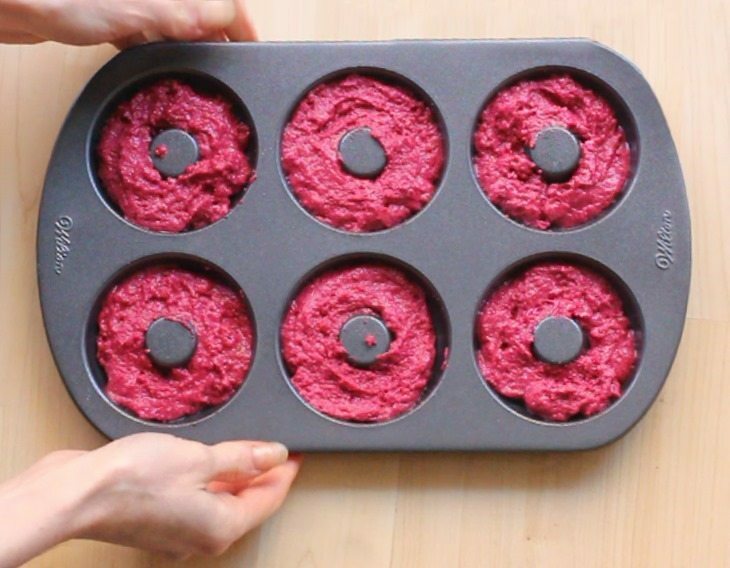 The only “problem” is that my muffins turned out barely pink and certainly not red like your photo. The batter was redder before I baked them, no idea what happened. I used the liquid from a can of beets, could that be why? either way, they’re super yummy, and really what else matters? Canned beetroots is different to beetroot juice, which is more concentrated and hence a darker colour. The canned beetroot juice is mostly water and salt. Also, colours always fade from batter to baked, natural or not. Hopefully that helps Randi! Will rolled oat flour work okay? 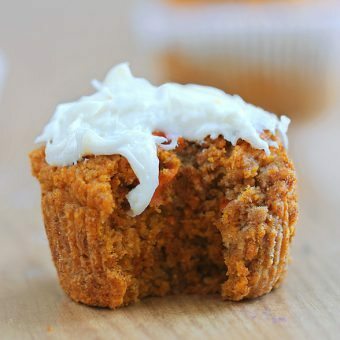 Also, what will happen if I make these in a regular muffin pan, OR a cake pan? Just to let you all know concerning the dish apparatus- I made this in a large glass baking dish, as one uses for cakes. I also multiplied the recipe by 6. What happened is that because I guess it takes longer to cook through as a cake, the pink color got cooked out and it ended up mostly an orangey yellow, with a slight remnant pink color spared on the very top layer. Besides the color issue, it came out great and cooked perfectly! Not too sweet at all so definitely use some type of glaze as she says! It was so delicious. I just made these, replacing the beet juice with cherry juice. They were delicious! I used the chocolate sauce made with coconut oil provided earlier in the post, and I absolutely loved this recipe! Thank you for the recipe! I am wondering why there it calls for vinegar when there is no baking soda in the recipe to react with it as a leavener (just baking powder which reacts to the oven’s heat). Some recipes use both the vinegar-soda combination and baking powder for a nice rise and tender crumb. Please advise – did you leave out the soda accidentally from the copy or is the vinegar there for another reason? Tried them tonight with buckwheat flour, they turned brown, as if I had put cacao in the mix, and they are crumbly and sand like! LOL! Not the best of idea! Will try again with another flour, hope they turn out red ok moist! Oops!! !